According to preliminary results by Gartner, Asia Pacific (APAC) is performing slightly better at 0.3 per cent, with total global and regional shipments amounting to 67.2 million units and 24.3 million units respectively. In general, the consumer segment across APAC maintained growth for overall PC shipments with demand remaining for the mid-range to premium price points with Asian consumers preferring features, functions and quality built for specific needs. China outpaced much of the region with growth of 0.8 per cent over the third quarter of 2018, recovering from a steady decline over the past few quarters. Outside of Asia, however, consumer PC demand did not do so well, holding back more pronounced growth. The overall market is likely to remain stagnant for the rest of 2018, primarily due to CPU supply constraints. 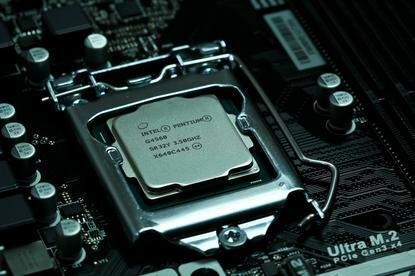 "Although the third-quarter results did not show any material impact, the Intel CPU shortage could influence the PC market moving forward with price increases and changes to the vendor landscape,” said Mikako Kitagawa, principal analyst at Gartner. "While this shortage will have some short-term impacts, Gartner does not see any lasting impact on overall PC demand. "Current expectation is that the shortage will continue into 2019, but Intel will prioritise the high-end CPU as well as the CPUs for business PCs. In the meantime, AMD will pick up the part of the market where Intel cannot supply CPUs." In assessing the global market, APAC, Japan and EMEA experienced growth in the third quarter of 2018, while the US and Latin America declined. "The PC market continued to be driven by steady corporate PC demand, which was driven by Windows 10 PC hardware upgrades,” said Kitagawa, addressing overall market trends. "We expect the Windows 10 upgrade cycle to continue through 2020 at which point the upgrade demand will diminish." Overall, the PC vendors who performed best over the third quarter of 2018 include Lenovo who topped the list with growth of 10.7 per cent, primarily driven by regained traction in the commercial market and its joint venture with Fujitsu. Meanwhile, HP came in at second dropping one position from the previous quarter but showed its fourth consecutive quarter of year-over-year shipment growth with strong desktop shipment growth and increased demand among corporate buyers. Dell grew at 5.3 per cent in the third quarter of 2018 - the vendor's 10th consecutive quarter of shipment growth - with APAC, Japan and EMEA regions performing particularly well in both desktop and mobile PC shipments. These results are preliminary according to Gartner, with final statistics expected soon to clients of Gartner's PC Quarterly Statistics Worldwide by Region program.